Once you have the hang of it, digital illustration is much faster and more efficient than traditional techniques and is the industry standard for producing high quality images at a profitable rate. The skills learned in this class will help you develop a work flow, applicable to virtually any assignment, that can carry you smoothly from the daunting blank canvas all the way to a finished, presentable illustration. This class will build confidence in draftsmanship, mark-making and use of the equipment. We will go step by step through the process of creating a digital character illustration in Photoshop. Developing Ideas. 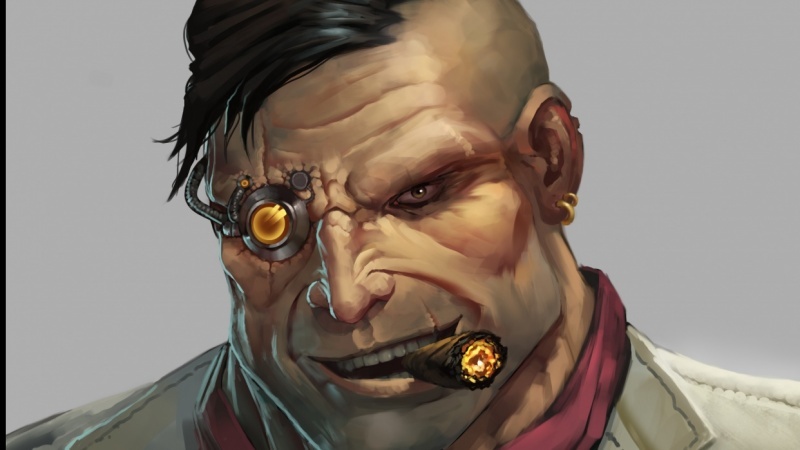 We'll cover how to develop ideas for your character illustration. Sketching. I'll discuss the basics of sketching and how to get started. Blocking in Color. We'll start applying color and defining tones. Painting and Polishing. Finally, we'll put on the finishing touches and complete the painting. 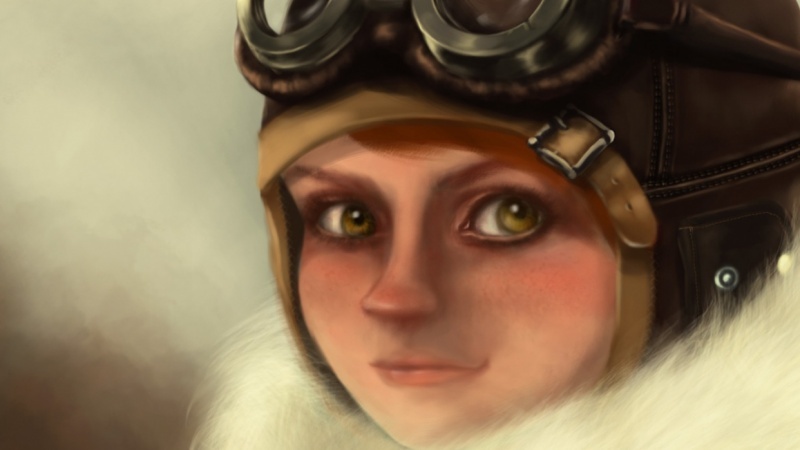 Students will create a digital painting of a character face from scratch. You'll learn all the basic skills you need to create a final piece that is ready to share or use in your next project. Introduction. In this digital painting tutorial, you’ll work in Adobe Photoshop, starting with a blank canvas and arriving at a polished, final product. Class outline. Hardy Fowler will break his process for digital painting into three parts: ideation, painting, and polishing. You’ll learn when to present a draft of your illustration to a client. Rough sketching. You’ll watch as Harvey loosely sketches shapes in Photoshop, beginning with ovals and gradually defining a human face. You’ll look at uses for Photoshop’s brush, eraser, lasso, and transform tools while learning one of the major pros of digital drawing — you can easily transform your sketch as you go. Inking. You’ll learn how to make a sketch that’s ready to present to a client. 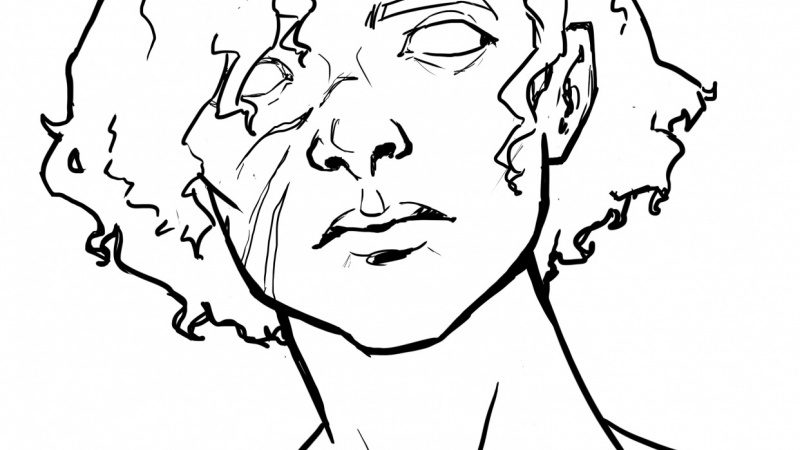 Harvey will show you how to create a new layer for your digital ink drawing and how to vary the thickness of your lines to imitate real life inking. You’ll explore how to add detail lines in the face and prepare your Photoshop design for the later blocking step. Basic mark making and rendering. In this sidebar, you’ll learn how to add tones to basic marks to increase opacity. You’ll explore the different effects Photoshop’s brush and smudge tools have to offer and learn expert blending techniques. Basics of faces. 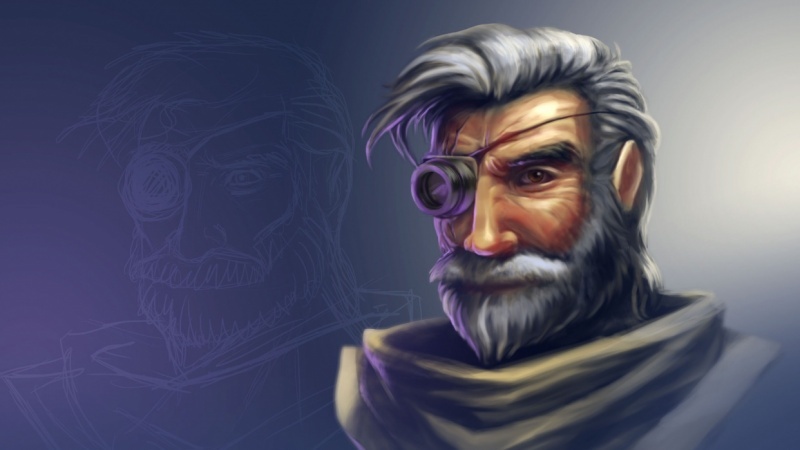 You’ll learn how light sources can add dimension to faces in Photoshop drawing. You’ll also learn about secondary light sources, core shadows, and tricks that help make digitally painted skin look real. Harvey will render a simple face in gray scale to demonstrate. Using quick mask mode to block in. Here you’ll get a more in-depth look at using layers in Photoshop. You’ll see how they can be used for adding color to the background and foreground without bleeding from one into the other. Blocking in and painting. After converting your outline into a solid shape, you’ll learn to use tone and shadow to make your design appear three-dimensional. You’ll start with broad, loose strokes and move towards a more detailed depiction of your character. Remember, you can always flip your drawing in Photoshop to look at those not-quite-right parts from a new perspective. Skin tones. Time to fill in the skin. To make a character’s skin look convincing in Photoshop, you’ll learn to use the smudge tool to mimic the way artists blend paint in real life. Harvey will suggest realistic skin tone colors and show you how to always paint within the lines of your design. Basics of eyes. You’ll get an eyeball anatomy lesson, learning how light hits the back of the eye so you can depict this key facial component as realistically as possible. You’ll learn the optimal light scale to use when filling in an iris by watching Harvey add eyeballs to his earlier gray-scale face drawing. Polish and presentation. 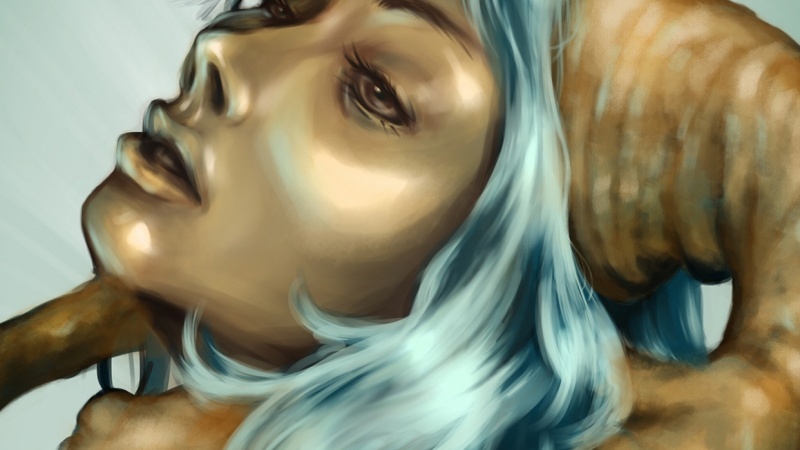 You’ll render eyes and hair, add secondary light sources, and finally polish your digital painting. You’ll learn about the dissolve tool and how to use secondary light sources to tell a story about your character.